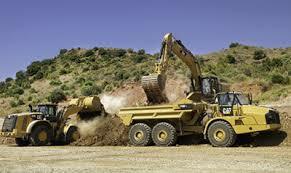 Heavy Equipment Resources of Florida Inc. Heavy Equipment Resources of Jacksonville, Florida, Inc. (HERO FL) specializes in the export of components, spare parts and heavy machinery to the mining and earthmoving industries throughout the world, especially to customers in Africa, South America and Central America. The company's strategic location allows for rapid delivery of fast moving, hard to find parts and components, which are essential to the operations of mines across the globe. Leslie Smith operated a successful commercial landscaping business for several decades. Then, he and his son went to Export 101 sponsored by the Jacksonville, Florida Port (JaxPort), the Jacksonville Chamber of Commerce and the Department of Commerce. They were the first graduates of the six-week course and became their little poster child. "We took knowledge from the course and applied it to mining equipment, which is what we were interested in and believed we could make a business out of reselling it. So, we went to Las Vegas to the big mining show that happens every four years," said Leslie. After meeting several hundred international buyers, they focused on Africa - Ghana, Nigeria on the west side and then targeted South Africa, Botswana, Zambia, Tanzania and Namibia. HERO's niche was reselling heavy equipment for the mining industry and spare parts, rebuilt motors, transmissions. As business progressed they got support from the Export-Import Bank's small business insurance policy for Africa (covered $436,000 of sales from 2010 to 2013). The company's success led to winning the President's "E" award for excellence in exporting. EXIM has supported $2.2 million of the company's exports during the 2013 and 2018 period. "Nobody is going to trust anybody to send anything to Africa and wonder when they're going to get paid. I was concerned about the risks of doing business in some parts of Africa so we could do nothing more than cash and carry. A lot of times they just don't have the cash. We began to use the Bank's export credit insurance to provide competitive terms to buyers and sales increased."